It’s one of the world’s oldest fermented beverages and the most popular in recorded history. Yet, in modern times, mead has achieved nothing like the same popularity as its ancient cousins beer and wine. If barrel-aged beers and sours are still considered “niche”, then where does that leave mead? That’s starting to change, however, as the craft brewing industry continues to expand – and with it a growing interest in all forms of “craft” beverages. In 2015, mead was named the fastest growing segment of the US alcohol industry, with more than 460 meaderies nationwide. If the history of craft beer is anything to go by, it’s likely we’re soon to see a similar trend in Australia. But what is it? In its most traditional form, mead is made with three simple ingredients – water, yeast and honey. As the main source of flavour and aroma, it’s the choice of honey variety that has the largest impact on the final product. For instance, macadamia honey will provide a nutty richness, orange blossom a subtle citrus bite, and blue gum a herbal, menthol tone. Depending on the amount of honey used, the mead can range from dry to sweet, typically with increasing alcohol content. 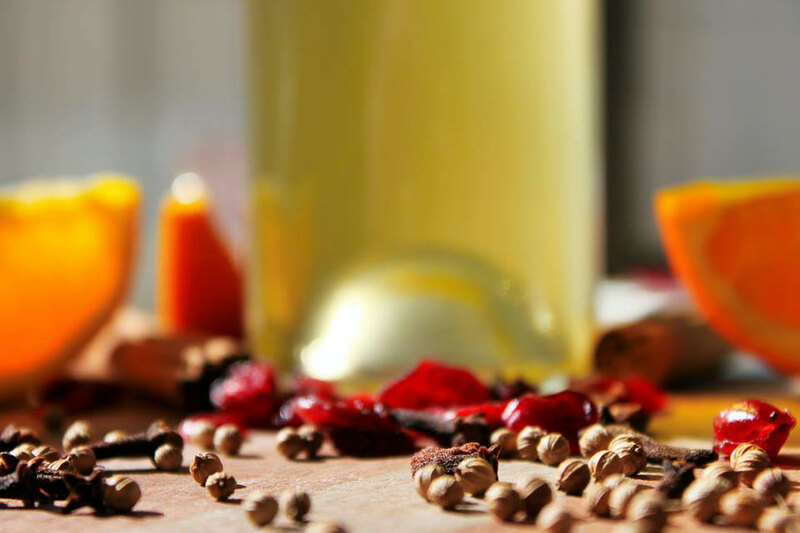 The addition of extra ingredients serves to transform a mead to a more sophisticated product. Using a producer’s terminology, such ingredients might be burnt honey (bochet), fruit (melomel), or spices (metheglin). Only naturally occurring additives are used and, for many Australian mead makers, they are locally sourced. “Mead is a drink that gets you closer to nature, where you can taste the terrior of the beverage,” says mead maker Joel Robinson. “The nuances of the honey collected in that flow, or the fruits used from year to year will change. Some of the ingredients that go into Hunter and the Harp mead, Photo by Joel Robinson. Last month, Joel was named NSW State Champion Mead Maker, while his wife Nerida placed second. Together, they’re establishing Hunter and the Harp Meadery on the NSW South Coast. A former maritime captain, Joel has only been learning the trade for just over a year, but fast-tracked his learning by job shadowing prominent mead maker Ken Schramm in the US. Motivating it all is Joel’s passion to turn mead into a modern drink. It is his view that “craft reflects people’s particular preference for local, environmentally sustainable products. Honey is a great fermentable sugar because the bees need to visit as many flowers as possible. The more trees and plants, the more flowers and the more honey. Currently, Joel is in discussions with Wollongong Council to set up Australia’s first mead bar in Port Kembla. He’s also partnered with local microbrewery Five Barrel Brewing, where he’s been lent a tap in order to provide a non-beer alternative for visitors. The first mead on the menu this summer will be one of Joel’s recent top competition placings, a strawberry and pink peppercorn mead with Madagascar bourbon vanilla and French oak. This wouldn’t be the first time in history beer and mead have been poured together. In medieval Europe, a beer / mead hybrid known as braggot first made an appearance. In such a drink, both honey and grain co-star, although the honey itself should make up 50 percent or more of the fermentable sugars. A braggot can either be brewed as one process, with the honey added after the wort has cooled, or blended from a separately brewed beer and mead post-fermentation. Just like mead and many other drinks brought back to life in the past decade or two, braggots fell out of fashion to the point of near extinction, something found in history books and rarely elsewhere, but have seen a resurgence in modern times. Locally, Red Duck and Bridge Road produced the first commercial varieties of their own back in the early days of this site. Red Duck’s first, the Ugly Duckling, was a blend of a strong ale and mead, and the Ballarat brewer has gone on to produce many more; Bridge Road’s was a single brew with heaps of Red Stringybark honey added. More recently, Western Australia’s Erosion Meadery partnered with Artisan Brewing to produce a locally distributed Bier De Miel (French for “beer with honey”) while Red Hill collaborated with high profile US mead maker Moonlight Meadery on one during Good Beer Week. 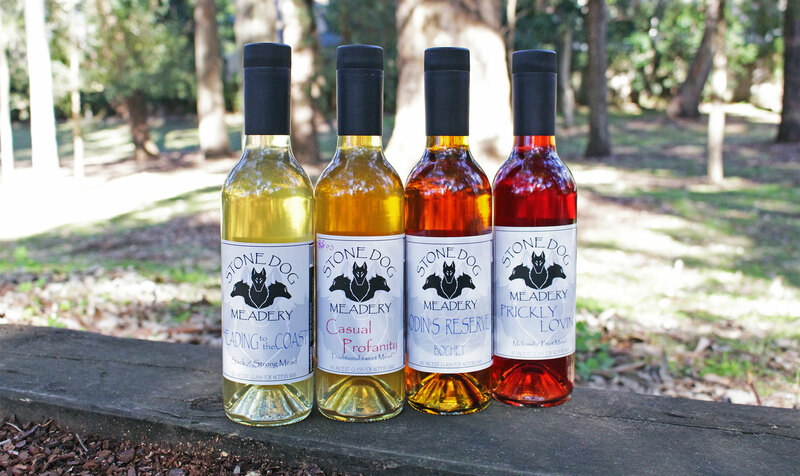 Australia’s only regular producer of braggots is Steve Kirby, of Stone Dog Meadery in Yarra, NSW – the first meadery to exhibit at the annual GABS festival. Stone Dog Meadery's lineup. Photo by MC Jarratt (as is the one at the top of the page). Steve originally began brewing mead as part of his membership of the Society for Creative Anachronisms, a medieval society that reenacts 17th century European culture. A homebrewer for more than 20 years, he decided to have a go at recreating one of the most popular drinks from that time period. Combining his experience with both beverages, Steve brews both the beer and mead himself, allowing him to choose whether to co-ferment or blend. 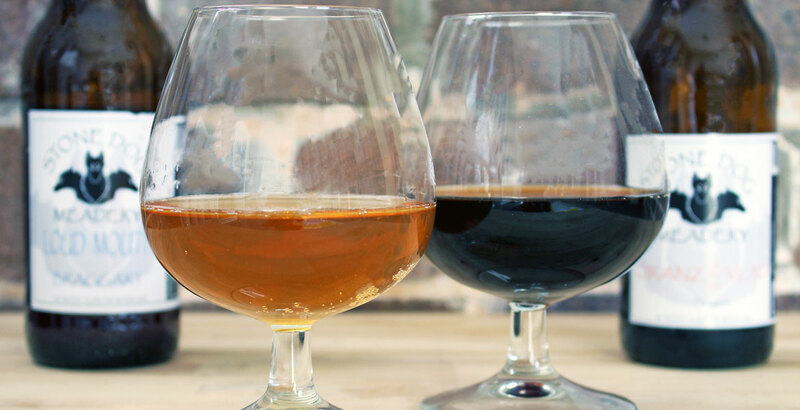 This has led to a variety of experiments, such as a braggot named Oranz is the New Vlad, a 13.4 percent ABV blend of orange blossom mead aged in rum barrels and a Russian Imperial Stout aged in whisky barrels. The pairing of beer and mead requires careful consideration. The drink is all about finding a neat balance, without allowing any ingredient to overshadow another. Often, use of hops is kept to a minimum to avoid competing flavours – especially when those hops have high bittering or strong flavour characteristics. Not one to shy at a challenge, however, Steve’s other two braggots throw that advice out the window. One is a Belgian saison braggot, called Loud Mouth, that’s hopped with Sorachi Ace for a lemon aroma. The other is a triple IPA, simply named 1+1+1 for its ingredients. Steve’s braggots are so far only sold in stores in NSW and ACT, including The Oak Barrel, Platinum Liquor, Yulli’s and Plonk, while interstate visitors can buy online. As for Joel, he’s still waiting for licensing to come through before he can turn commercial. Today, Australia is home to just 25 mead producers – close to the same number found in the US a decade ago. But, with our own endemic honey varieties, we’re able to produce uniquely Australian flavours of mead. Perhaps the time has come to step out of the dark ages and embrace the mead renaissance. As an aside, Seven Sheds in Tasmania, which to give it its full name is Brewery, Meadery and Hop Garden looks to be returning to meads after a long hiatus. They're running a survey about the drink now. Who Brews With Nine Fingers?